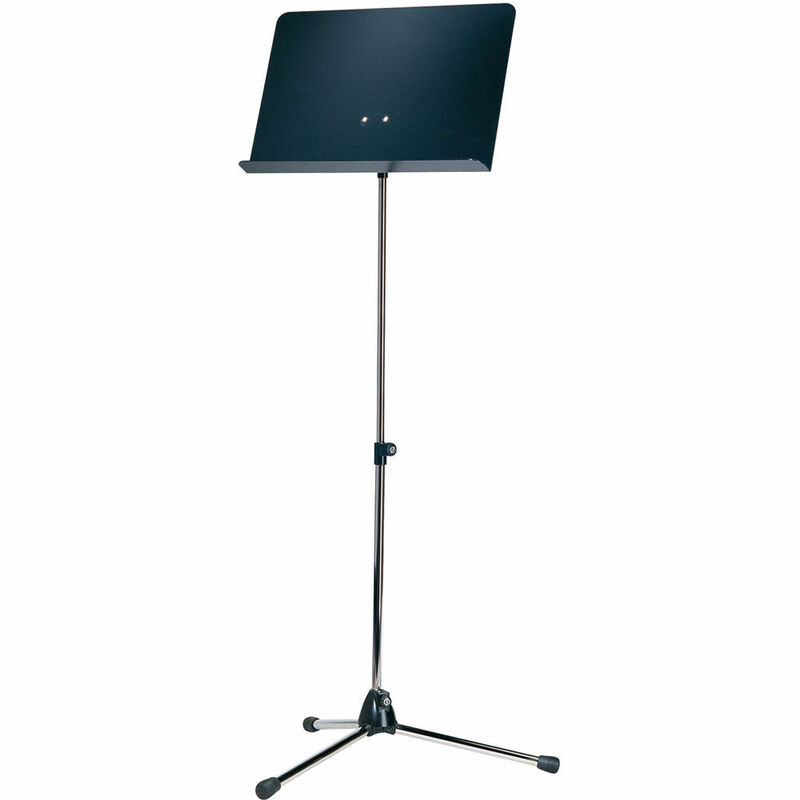 The K&M Orchestra Nickel Music Stand with Black Aluminum Desk offers a height range from 27 to 48" (680 – 1,210mm), and is well suited for concerts, scores, etc. 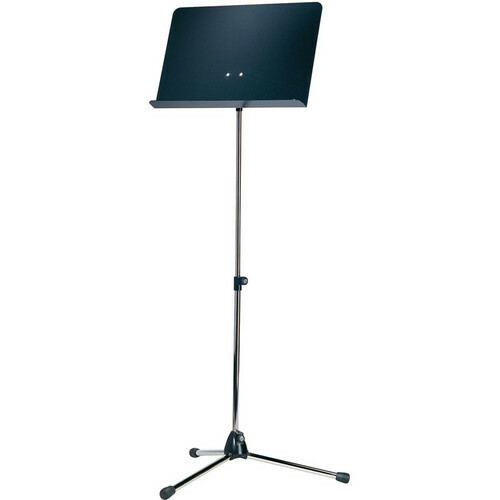 Die-cast base ensures stable support and foldable legs allow compact size for portability. The removable desk can be attached to the stand via a prismatic V-bock connector. Offering flexibility, the nickel music stand can mount other compatible desks available in a variety of premium woods and other materials. Box Dimensions (LxWxH) 27.9 x 16.2 x 5.3"